Foreldrafélag Austurbæjarskóla í samstarfi við félagsmiðstöðina 100&1 langar að bjóða foreldrum að taka þátt í tabú-kvöldi einungis fyrir foreldra 24.október kl 20:30-22:00. Tabú-kvöldin hafa verið fastur liður í unglingastarfinu þar sem starfsmenn félagsmiðstöðvarinnar setjast niður með hópnum og safna og fara yfir nafnlausar spurningar og umræðuefni sem brennur á þátttakendum. Við söfnum þessum spurningum á netinu og fær enginn að vita hver spyr að hverju. 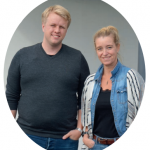 Markmiðið með þessu er að deila reynslu, vekja athygli á úrræðum sem eru í boði við hvers kyns vandamálum og að búa til vettvang þar sem manneskja getur fengið útrás fyrir því sem hún er að burðast með inni í sér. Við hlökkum alveg ofboðslega til að halda þetta og vonum innilega að flestir hafi tök á að taka þátt. 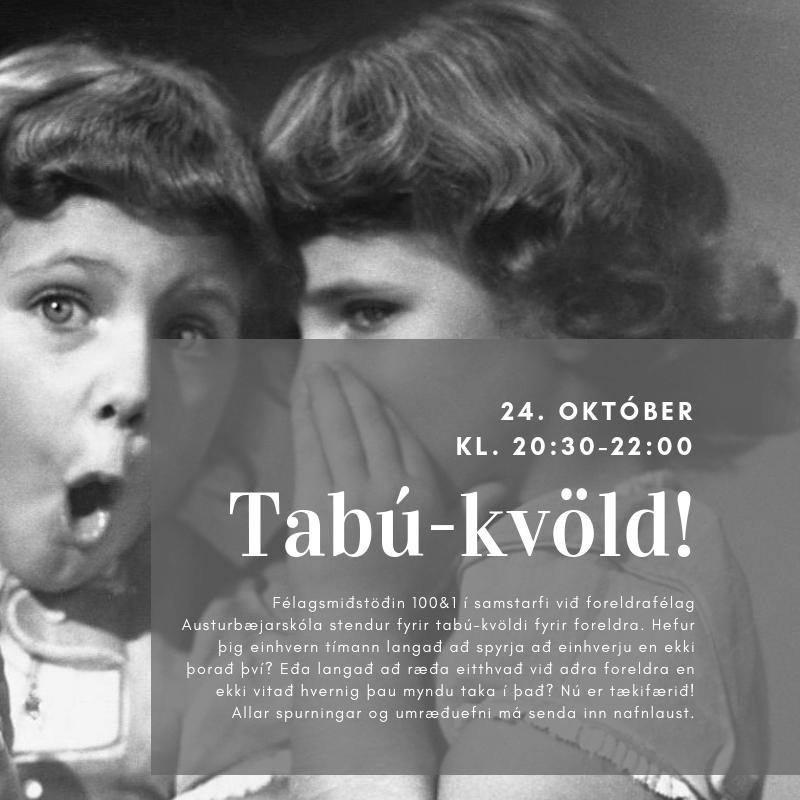 The Austurbæjarskóli Parents Council and the youth club 100&1 want to invite parents to participate in Taboo Night, for parents only on 24th of October, starting at 20:30 and finishing at 22:00. Taboo nights have been a regular event in the youth work, where employees of the youth club sit down with the group and collect and discuss anonymous questions and topics that the participants are passionate about and really want to ask. We collect these questions online and nobody knows who asks which questions. The purpose of this is to share experiences, draw attention to the resources available to all kinds of problems and to create a forum where a person has an outlet for is burdening them. We look forward to this taboo night and hope that most of you are able to participate.